The first church … the original church, or so the story goes, was built in the thirteenth century by Sir William Keynal. 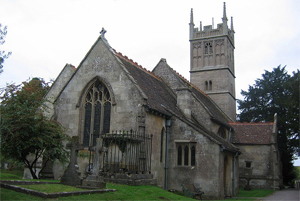 It is said that Sir William built the church as a thanks offering for his safe return from the Crusades. This explains the unusual dedication to St Margaret of Antioch.